Spidery poufs of flower heads top tall stems in a striking display. 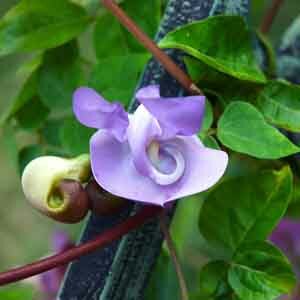 The curious looking bloom clusters bring fragrance, soft color and lightness to gardens and large containers. 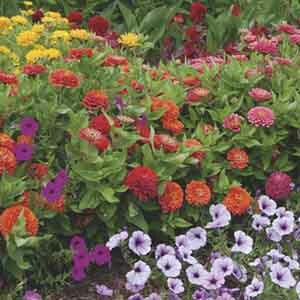 A favorite of gardeners and butterflies alike, Zinnias bring long-lasting, bright color and rich texture to any planting. Removal of spent blooms will assure the most prolific and ongoing floral display. 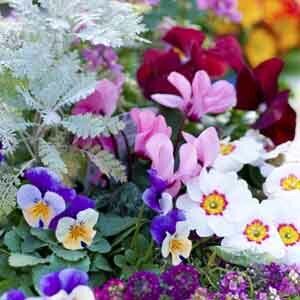 Cool season annual plants are a great way to jump-start your spring gardening or extend the fall flowering season. These plants thrive in cool temperatures and can even tolerate a touch of frost. 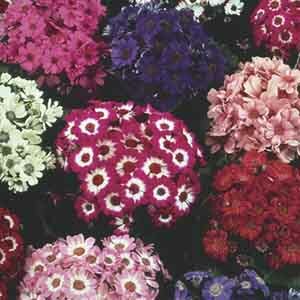 Choose from a wide range of colorful varieties and sizes. 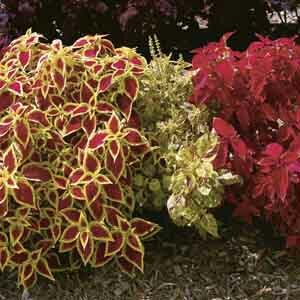 Copperleaf’s mosaic of red, green and purple mottled foliage results in a plant more colorful than many blooming plants. The rich color makes this a spectacular accent on its own or the perfect solution for breaking up the monotony of a landscape filled with green-foliage plants. 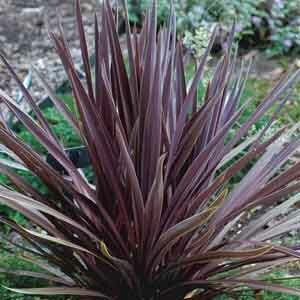 Cordyline’s narrow, sword-like foliage adds style and structure to the landscape. 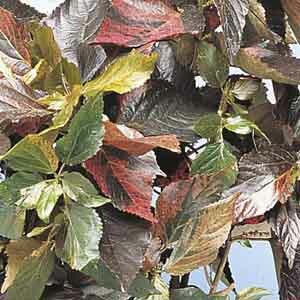 Its burgundy-red leaves are a source of rich color all season long, without the fuss of flowers. 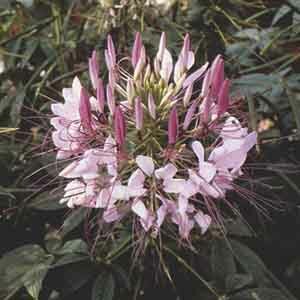 Terrific for growing in containers, either alone or mixed with contrasting flowers or foliage plants. 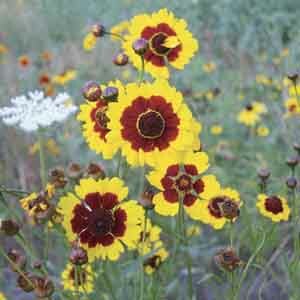 This North American Native is very easy to grow and is perfect for naturalizing in wild, open areas. 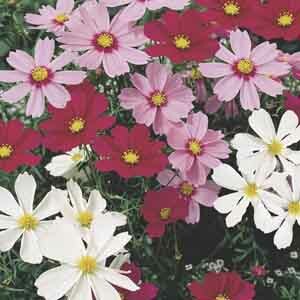 Requires very little care and once established holds up very well to dry conditions. Wonderful for attracting butterflies and other beneficial insects into the garden.